"Now there was a man named Joseph, a member of the Council, a good and upright man, who had not consented to their decision and action. He came from the Judean town of Arimathea, and he himself was waiting for the kingdom of God. Going to Pilate, he asked for Jesus’ body. Then he took it down, wrapped it in linen cloth and placed it in a tomb cut in the rock, one in which no one had yet been laid. The women who had come with Jesus from Galilee followed Joseph and saw the tomb and how his body was laid in it. Then they went home and prepared spices and perfumes. But they rested on the Sabbath in obedience to the commandment." The sun set on Friday. The worst, best Friday ever. And then the narrative is silent. We skip over Saturday, stumbling in our haste to arrive at the joy of Sunday. The anxiousness to find relief from the fear and pain, the and excitement far more enticing. But there were 24 hours intervening. We talk of "three days" in the grave, and so it was. Part of Friday, part of Sunday. And *all* of Saturday. The Sabbath. The holiest day of each week, highly regulated, strictly observed. So much so that God demanded to be worshiped even while He was dead. Never is there any hesitation that the day of rest, put into place by The Lord Himself, would not be observed. Plans were made with that end in mind, possibly even those at the foot of the cross praying that Jesus would pass quickly, not only to end His suffering but also to spare Him the indignation of violating the sanctity of the Day of Rest. So Jesus passed. But the sabbath hadn't. So what did his followers do? They worshiped while waiting. The most horrific of tragedies had occurred. The most devastating of blows was struck. And they went to church. God's plan at that point was as murky as the depths of the sea. It couldn't be understood, it couldn't be explained. So rather than turning from Him in their pain and ignorance, they turned to Him. The One who created the world, establishing the precious seventh day ordinance at the beginning of time, called to them through the seemingly impenetrable fog of grief. And they did what they had always done: they kept the Sabbath holy. In the darkest day every one of Jesus' friends and family did exactly what we should do: they rested in knowing that He was in control. I know they wept, and were fearful and anxious.But they didn't ignore the deepest cry: to stand in the Presence of the One who has never ever turned away, even when Jesus breathed His last and all seemed lost. They called the day before the Sabbath "Preparation Day"- they were getting ready to observe all the regulations of the Sabbath (no work meant no cooking, cleaning or any other type of labor, so all must be readied in advance). What a fitting description for what was really happening: God was preparing them, through the faith exercise of waiting, hoping, and worrying as Jesus lay in the grave all day Saturday, to fully experience the beauty of the Resurrection. The saying goes, "It is always darkest just before dawn." And how utterly bleak and black that long, long day must have been. But they did not neglect to stand still and remember all God had done for them. He created the world in six days, and God Himself set the standard by resting on the seventh. When the Jews followed suit, it reminded them (as it does us) that we are created specially by Him, for Him. I am sure they couldn't help but be reminded of all the mighty things the Lord had done for them. And pausing to recount those memorial stones must have given them courage. And I think that even in that point, when the pain seemed insurmountable, that they worshiped. Why? Because that is what we are called to do. When it appears that all is lost, stop and remember. When the days of waiting are so long it seems unthinkable to stand it anymore, is God giving you a day of rest? Is He preparing you for an amazing, stunning revelation that will only be more glorious when contrasted against the darkness of the time preceding? Do I have the faith to rest when things seem darkest? Do I believe enough in my God to allow Him to work out of my realm of vision, fully trusting that He is providing for all my needs? The true believers are the ones that kept their faith even when it was "proven" false in the eyes of all those around them. I want the same to be true for me. If the Lord is allowing a difficult time in my life, I want to see it as a "preparation day"-because surely something better is coming. He has proven His power by overcoming even death. I want to worship and rest when my faith is being tested, because I know that He is ultimately working it for my good. Saturday is dark, but Sunday is coming! Some of my friends and I were discussing the virtues of our crock pots this morning at church. I have to apologize to my mother: she tried to convince me that it was the most marvelous piece of kitchen equipment and I ignored her excellent advice for the first 7 years of my marriage. I have now seen the error of my ways! I also categorize those recipes differently on Pinterest. I have a board dedicated entirely to crock pot recipes, because usually rather than wanting a specific meal, I want to use my crock pot! 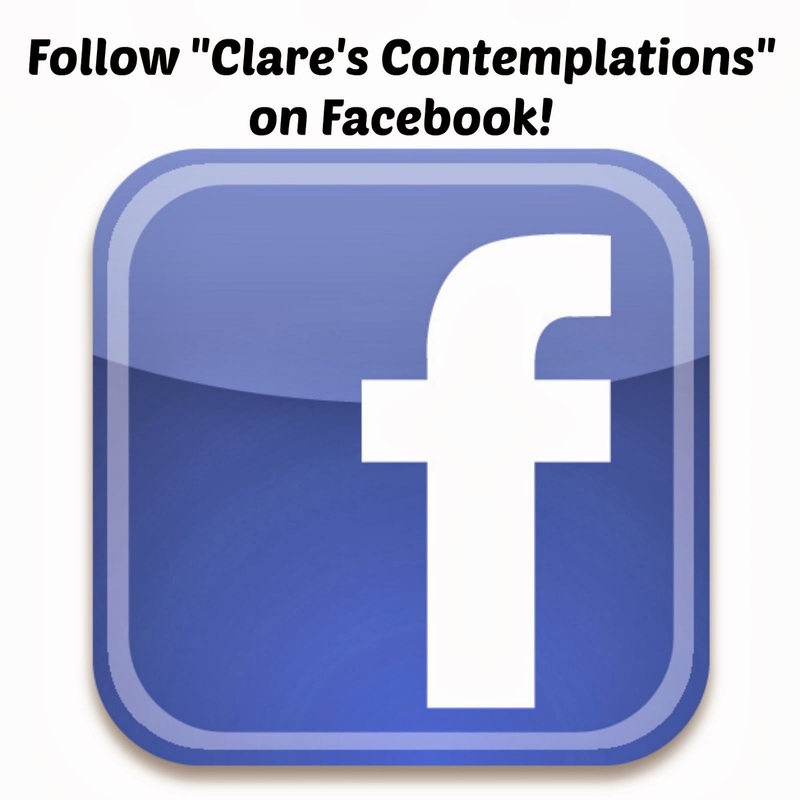 So, I thought if you felt the same way, maybe you would appreciate it if I shared some of my best loved recipes with you. 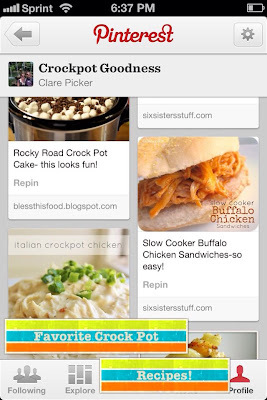 You can find all my crock pot pins on my "Crockpot Goodness" Pinterest board! 1. CrockPot Chicken Tortilla Soup This is my favorite tortilla soup recipe. It is soooo easy! I love that it calls for all "pantry" ingredients-that is a recipe that doesn't call for fresh ingredients, only frozen or shelf stable. I usually have all the ingredients on hand, so it is quick and easy to throw together. I have discovered that if I put my substitutions/recommendations in the comments of my pins, it makes them easier to keep track of, and then if I have a friend I want to send the recipe to, all the changes are attached! You can see my subs for this recipe on my pin. This recipes makes a ton, it would easily serve 8, so I always freeze half of it, and then heat it on the stove top. Two meals from one crock pot recipe? Yes, please! 2. Crockpot Baked Potatoes This is one of those that you probably think: isn't that easier to just do in the microwave or oven? Well, it is probably the same amount of work any of the three ways, but the skin is just delicious this way, and it is handy for me because I buy *gigantic* Costco potatoes, and they fit better in my crock pot than in the microwave! It is also nice to get started on this part of dinner earlier in the day. We usually have entree potatoes by adding ham and cheese, or chili on top. It also gives me a lot more flexibility about when dinner is ready! 4. Slow Cooker Cheesy Chicken and Rice I learned the trick about adding the peas at the end of a crock pot recipe by reading the comments on this recipe. (I add peas to this to give it a little more nutritional value, about 1 and 1/2 cups cooked frozen peas.) It is a really tasty spin on chicken and rice, and I skip the part where she says cook the corn at the end and add it, and just put frozen corn in at the beginning when I put the chicken in. You do need to cook the rice separately, and I am never on point enough to do it the day before like she suggests, but for some reason it is just easier for me to think about dinner before lunch, so I just make the rice then. Another reason I love my crock pot! 5. Honey Sauced Chicken I make a lot of chicken dishes, and so that is probably why 3 out of 5 of these recipes are for chicken. This honey sauced chicken is really easy, however, if you have more than 2 adults and two small children, you will want to double this recipe. For some reason, I use about a pound (the recipes calls for 3/4 lb.) and it still doesn't seem like quite enough. But that could also be because Joel loves it! I serve it with rice and stir fry veggies. 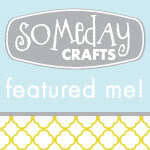 I have tried several other recipes on my board, too, but I don't want to spoil all the fun! If you are looking for some inspiration, take a look around. May your crock pot be as useful to you as mine is to me! I posted about the "book basket" last month, and I have to admit: I didn't think it was going to work. I didn't want to mention it to the kids (specifically Carson) because I wanted to see if they would notice on their own. And finally, at the very end of the month, he dragged every single book out and we read them all twice in the same sitting! He liked some of them so much, that I left them out through the beginning of the month, and I just changed them the other day. I realized another benefit of the basket is that I can read to Carson while Josie is schooling, since it is down in the living room. I read so many picture books to Josie before Carson was old enough to understand or appreciate, and by the time he really got into picture books she was into chapter books. I think it is important to read both, and we read the chapter books (or just the "chapter" as Josie refers to them) at night before bed. We recently finished all the "Little House" books and are on our third "Mrs. Piggle-Wiggle". Anyway, I just think Carson kind of got slighted in that department. So this is especially for him! 1. Green Eggs and Ham by Dr. Suess, of course! A perennial childhood favorite that is delighting Carson, especially since he is learning to read. He was amazed he could recognize some of the words! 2. 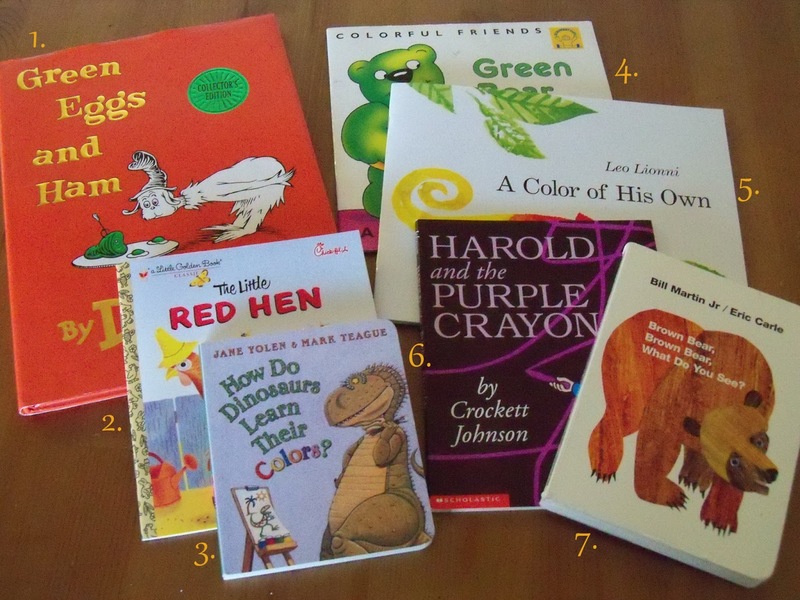 The Little Red Hen, Little Golden Book edition. Bless Chick-fil-A for bringing back some of these classics. Carson couldn't believe that the Hen wouldn't share her bread! 3. How Do Dinosaurs Learn Their Colors by Jane Yolen and Mark Teague. This has demonstrated the difference between reading to girls and boys. Josie didn't give a hoot about the dinosaur names, but Carson had me repeat them over and over. 4. Green Bear by Alan Rogers. This is an old Discovery Toys book that was a favorite of my sister, Lisa Dawn. It always brings back fond memories of her. 5. A Color of His Own by Leo Lionni. This book has sweet art, and is a simple ode to friendship. It is one of those that never got pulled off the shelf. It is nice to see it in the rotation. 6. Harold and the Purple Crayon by Crockett Johnson. One of my childhood favorites! It is so full of whimsy and I love the minimalistic drawings. Definitely a book to encourage imagination. 7. Brown Bear, Brown Bear, What Do You See? by Bill Martin Jr. and Eric Carle. We used this book to teach Josie her colors, and I am particularly fond of these sturdy board book editions. This month's selections are a hit already. Carson and I spent over half an hour reading this morning. I am already planning out new "collections"!